Michael DiCicco is a Licensed REALTOR®, business consultant and an entrepreneur. Michael has nearly 2 decades of experience ranging from Real Estate, Finance, Investments (both public and private), and marketing (both online and offline). Michael holds a Bachelor of Science in Business Management from Florida Atlantic University, and has held several professional licenses and certifications including one from Google (he trained in Mountain View, CA as a Google Adwords Advertising Professional). Michael has successfully completed the e-PRO® Certification Program and has been awarded the e-PRO® Certification, the official technology certification program offered by the NATIONAL ASSOCIATION OF REALTORS® (NAR). Michael joins only a few real estate professionals who have earned NAR’s e-PRO® certification and dedicated time and effort towards learning how to use the latest social media technologies to create an online presence and reach today’s hyper-connected consumers whether buying, selling or renting your home. Michael is dedicated to making the most of today’s social media and technology to help consumers with their real estate needs, whatever they may be. Steve Gabay has real estate in his blood. Today he is an expert who has not only overseen numerous residential development and construction projects, but also made a name for himself with some of the most record breaking performances, earning him the distinction of being in the top 15 real estate brokers in all of Florida. Steve’s rise in real estate was a natural progression. A native of New Jersey, he graduated from Florida Atlantic University, with a BS in Marketing. 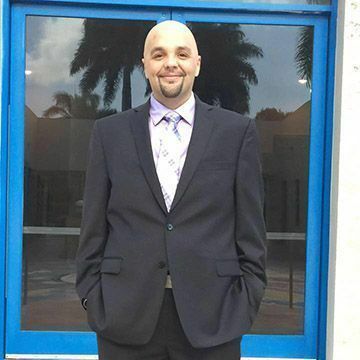 He returned to FAU a few short years later, as the university was hosting a contest for former students to submit business ideas and plans for a chance to earn seed money for the winning venture. Steve won that contest with an innovative idea to help students find affordable housing off campus. That seed money helped Steve to start his first brokerage 15 years ago which is flourishing still today. 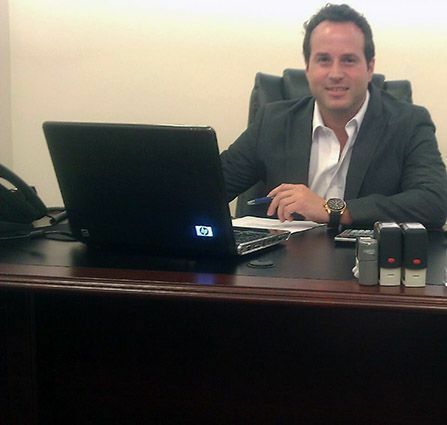 As a broker who procured hundreds of millions of dollars of real estate transactions, he felt compelled to pursue his next venture with his lifelong friends Michael DiCicco (who also attended FAU) and Jivette Parrilla. Steve’s approach to real estate is focused around getting to know his clients as real people whose company he enjoys, and taking care of them from beginning to end, search to key. Steve’s understanding of excellent client services stems from his colorful and decorated sales background. Steve understands the need for distinctive real estate representation. Steve believes “There is no place like home and the ability to provide for you and your future through appreciating real estate investments is priceless. I get great satisfaction out of being able to put my energy into helping people make the best decisions with real estate investments. I love it when I can present my clients with the inside track to exclusive properties”.